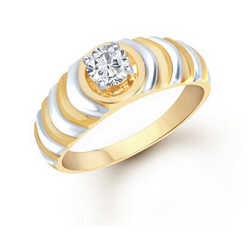 This VK Jewels Splendid Gold and Rhodium plated CZ Solitaire ring is made of alloy. 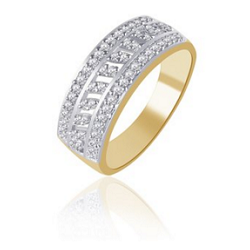 This VK Jewels Sparkle Gold and Rhodium Plated ring is made of alloy. 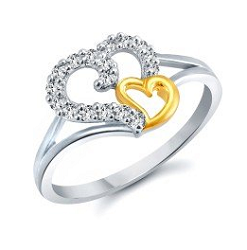 THIS MEENAZ ARTISTICALLY CRAFTED RING IS MADE OF ALLOY. 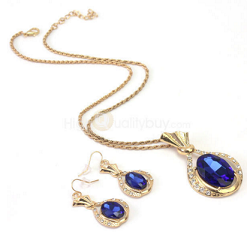 Fashionable design, make you look charming and attractive. 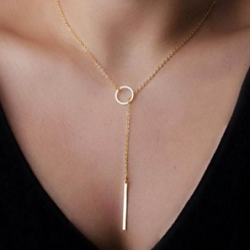 Fashion Jewelry Gold Color Metal Ring Stick Pendant Women Lady Charming Necklace. 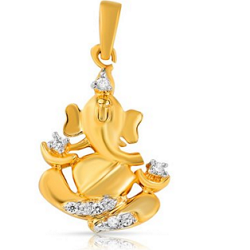 This Ganpati Pendant reflects the eternal significance of all obstacle remover,'the lord Ganesha'. 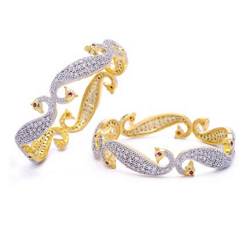 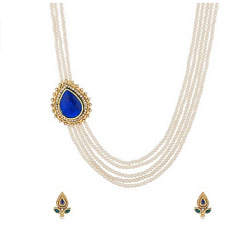 This distinctive piece delicately decorated with the sparkling stones. 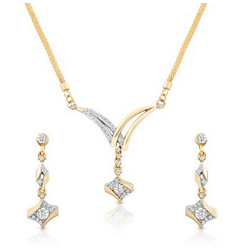 A perfect and exquisite piece presents a glamorous and modern look. 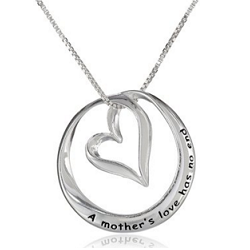 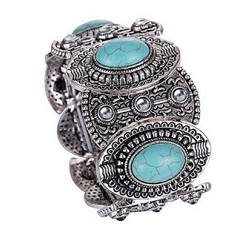 Adorn this beauty to give an absolute look . 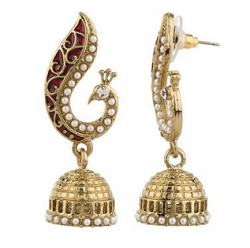 A beautiful pair of gold plated jhumki earrings from a collection inspired by traditional designs. 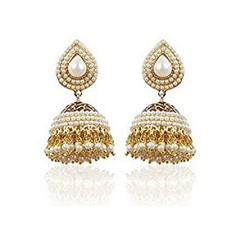 Pearl Studded traditional Rajasthani Earring which suits perfect on a wedding or festival. 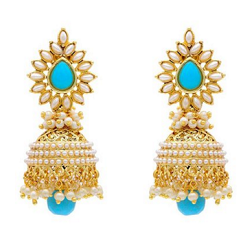 Bollywood Movie Aashiqui 2 inspired Pearl Beads made Polki Earring. 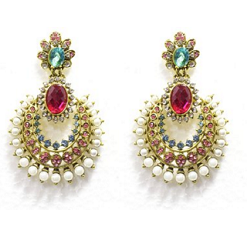 This Exquisite and Elegant Pair of Earrings adds a Traditional Touch to Your Ensembles. 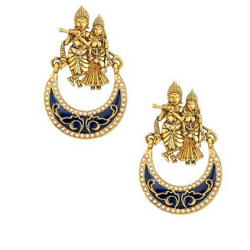 Featuring a grand Radha-Krishna theme, this charming pair of temple design earrings with gleaming meenakari work will look great on you. 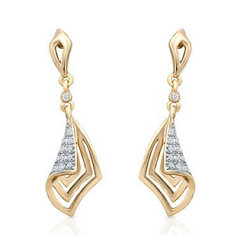 Adorn your earlobes with these sparkling gold plated earrings, set in a geometric design. 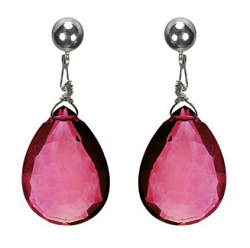 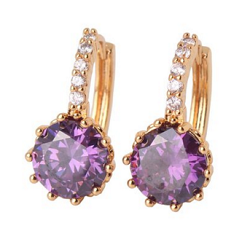 A classy earrings made in Dark Pink Ruby to give you a perfect look. 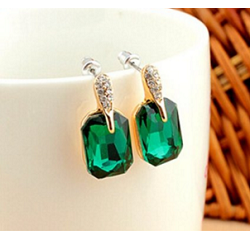 Let your ears dazzle and let the other ladies envy you. 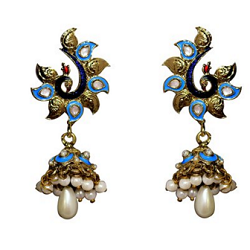 Come and fall in love with these Antique Gold Earrings by Alankruthi. 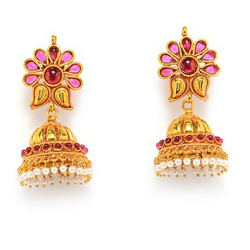 Add finishing touch to your ethnic avatar by wearing this panch lada rani haar. 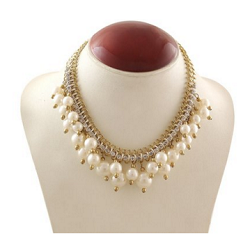 Made of alloy, featuring pearl strand. 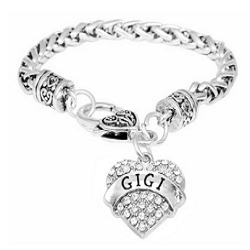 This charming bracelet features an engraved heart charm adorned with beautiful. 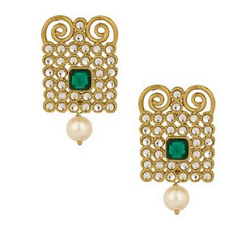 This pair of earrings dazzle and shimmer in subtle ways, making a statement of classic, minimalistic elegance.